Back on a classics kick, I decided to revisit an old favorite – William Makepeace Thackeray’s sardonic tale of worldly wiles, fallible virtues, and the vanities of pleasure. 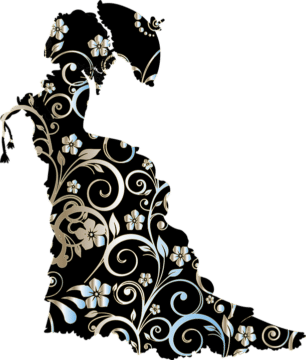 The story begins with Becky Sharp and Amelia Sedley, two very different women, who are graduating from a young ladies academy and getting ready for their official, adult debut in the world. Where Becky’s background is murky, Amelia’s is clear. Where Becky seeks to play society, Amelia seeks to please it. Where Becky seeks fortune and self-interest, Amelia seeks love and idolization. Where Becky seeks social status at all costs, Amelia finds sacrifice and martyrdom. Where Becky bends virtue for gain, Amelia stands by her expected place. Where Becky values society, Amelia values ideals. Where Becky is stalwart and strong willed, Amelia is pliable and weak. Where Becky is cruel, Amelia is kind, and where Becky is shrewd, Amelia is blind. 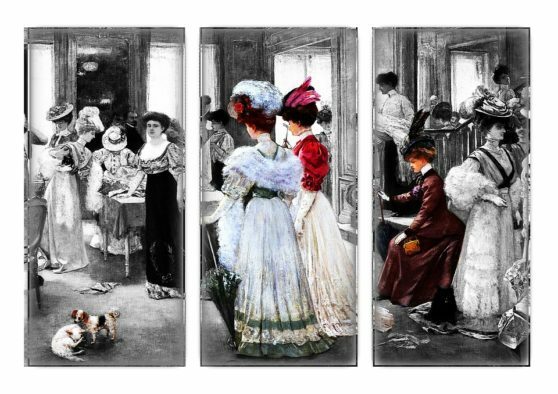 Together then, the young women, so entirely different from each other, begin a dance around each other as they pursue love against the backdrop of war. Thackeray starts this huge novel with a tongue-and-cheek sneer that hilariously and deeply mocks the characters who, often as not, value the appearance of virtue over the real thing, the opinion of society over the rules of God (and heart), and of course, the vanity of the temporal, shifting, transient “civilization” of the time over genuine feelings and actions. While the two leading female characters are obvious juxtapositions of each other, the (naïve) extreme of good and the extreme of bad as it were, other characters play their own part, some strolling in the gray areas and others finding something laudable in the darkness of Becky’s indulgent world. We have, first of all, the love interests: Amelia’s unworthy chap (the dashing solider, George Osborne) and Becky’s willfully weak one (the easily swayed gambler, Rawdon). Add to this a whole host of powerful characters, some of whom are set for a fall, others who wield destruction and then leave, and still others who are there to be tempted or to watch, nonchalant, as this great play of virtue and vice trickles out. What is certain is that neither side, as it were, is free from blame. Captain William Dobbin, similar to Amelia in that he possess more affection and loyalty than common good sense, enters the drama first as the friend of Amelia’s shady husband and later as a sort of savior. If we must select a hero for this tale then, it is Dobbin. Even when he is not in the lime light, he is pulling the strings for the side of good, usually unseen and underappreciated while his true love, Amelia, mourns a husband she secretly suspects (or at least should suspect) is truly unworthy. How Becky then enters and uses the on-again-off-again possibility of romance and revelation is the apex of the book and a reminder that as much as people change, they truly do remain the same. If Dobbin is the hero, Becky is obviously the villain. She isn’t the sort of laughing nemesis you love to hate – indeed many of her actions lead only to hate on our part as our well intentioned and “good” fall prey. Becky is blinded by her own cleverness, the little adventuress, always full of schemes and ready to provide biting imitations. While we justly hate her, we love watching her white-knuckled climb, and, even more so, her long and perilous fall. As the tale continues the characters mix and go about this all important world of theirs. The story is classic both because it’s just good and because no one is safe from Thackeray’s take-no-hostages revelations of the incipience of both society and those who inhabit it (be they good, bad, or somewhere in the middle). However, it’s here that the story also loses some of its shine as the middle portion drags on. Becky, for the most part, remains fairly active, her fortune soaring and diving along with her schemes, yet Amelia’s miserable downfall and her lamentations over both lost husband and bratty child became old-hat rather quickly. Add in Dobbin’s endless devotion for no return, and you have a story that spends at least 200 pages focusing on situations that don’t change and soon annoy. Even during my first, enamored reading this middle portion left me in the doldrums . . . and I’m certainly no fan of being succinct. Nevertheless, pacing foibles aside, Vanity Fair stands the test of time both for the quality of its story (we become truly invested in seeing at least Dobbin happy) and for the stinging reality of its observations. 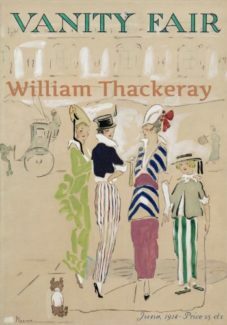 Thackeray’s ultimate point lies between the juxtaposition of good and bad, the just and the unjust, and focuses on the silly temporalities of people, the things we are so sure matter, and the conversations that go on in back rooms destroying the simulacrum of both success and respectability.